The ‘West Coast Cumbria’ hoard, discovered in 2014, is a late ninth/ early tenth-century Viking silver hoard, housed at the Beacon Museum, Whitehaven, UK. It is composed of 20 Viking silver objects: bar-shaped ingots and ornaments, in various stages of fragmentation (PAS ‘Find-ID’ LANCUM-FA14C8). One, complete ingot (museum no. 2016.162.5) bears coarse cloth-impressions on its upper surface i.e. the face that was in direct contact with the mould. How such textile imprints were acquired is somewhat of a mystery. I wondered about a scenario where a piece of cloth is smeared with mud or clay, a quick trench is carved into the dirt, the cloth placed over and the metal poured. Moisture and hot liquid metal are a bad combination; the metal in contact with moisture usually has explosive results. 2. what purpose did the fabric serve? 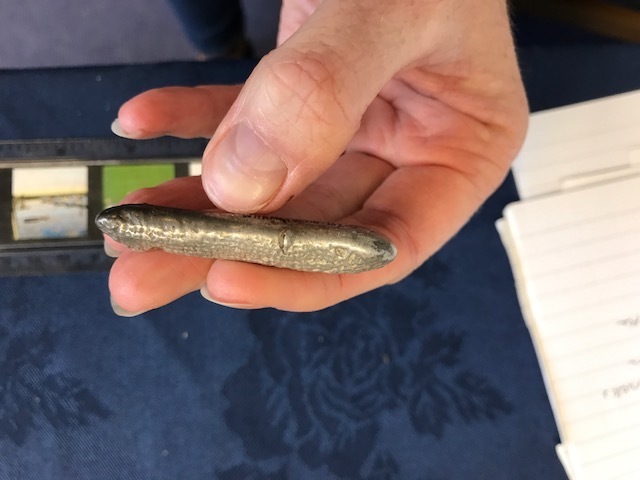 In conversation with Dr. Jane Kershaw, Institute of Archaeology, University of Oxford, she asked if I could investigate the possible causes for the textile texture found on a silver ingot from the West Coast Cumbria hoard shown in Figures 1 and 2. Similar textured ingots were found in the Cuerdale, Lancashire, Hoard, deposited c. 905-10 AD (Graham-Campbell 2011, 82). 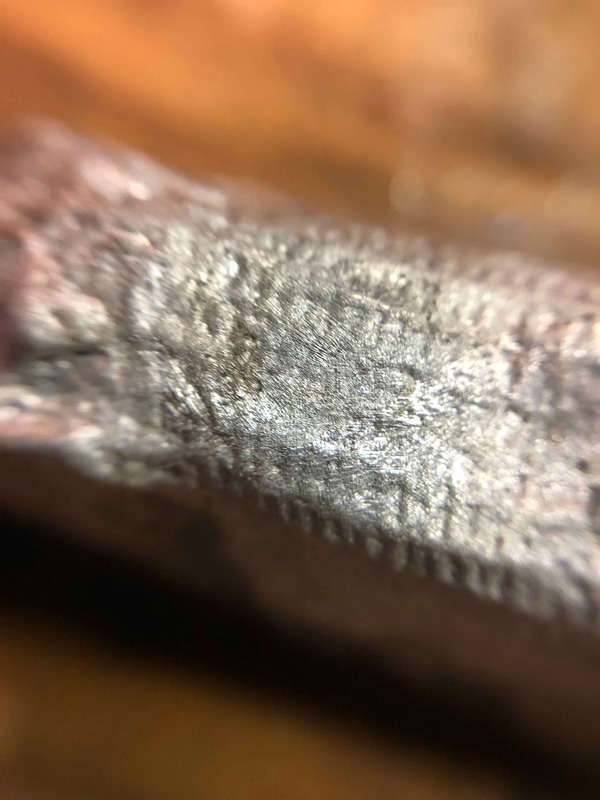 The pictures and technical information presented here are an investigation into how these textures may have gotten onto the surfaces of a poured silver ingot. 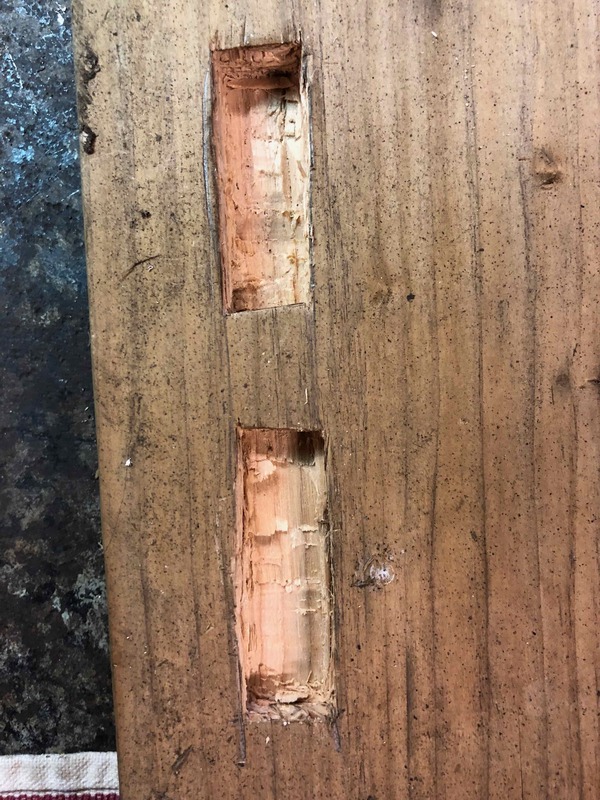 The experiment was limited to pouring molten sterling silver into trenches carved in a piece of construction lumber (See Figure 3). The carved out spaces (moulds) were each lined with a piece of coarsely woven cloth (See Figure 4). My experiment included three mould preparations to see if there was any difference in the finished ingot (See Figure 5). My three mould treatments included a trench lined with dry cloth, a trench lined with animal fat coated cloth and a trench lined with clay coated cloth. The clay was allowed to dry before the silver was poured into it. I poured molten silver into the cloth lined mould first. Just as I finished pouring the ingot it began to violently erupt and spit silver. The second ingot was poured into the mould prepared with animal fat. This was less violent than the first although it did flare up somewhat. The third mould that had clay applied to the cloth poured well (See Figure 6). Figure 7 shows the moulds and ingots after pouring. The wood and cloth mould shows that the shape of the ingot mimics the charring of the wood trench (See Figure 8). 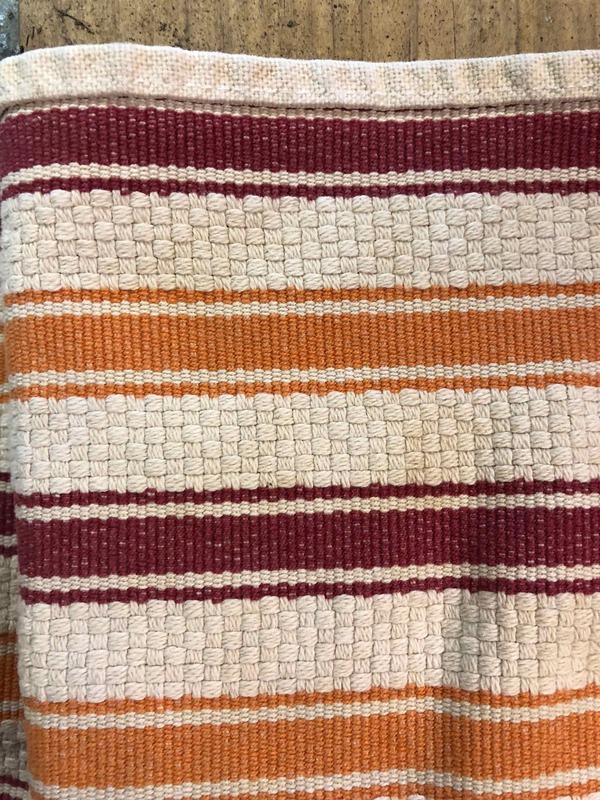 The middle mould with the cloth saturated in animal fat is distorted in shape but has one small patch imprinted with the weave pattern (Figure 9). The ingot poured into the clay saturated cloth mould had substantial texturing on one side matching the weave of the cloth (Figure 10). 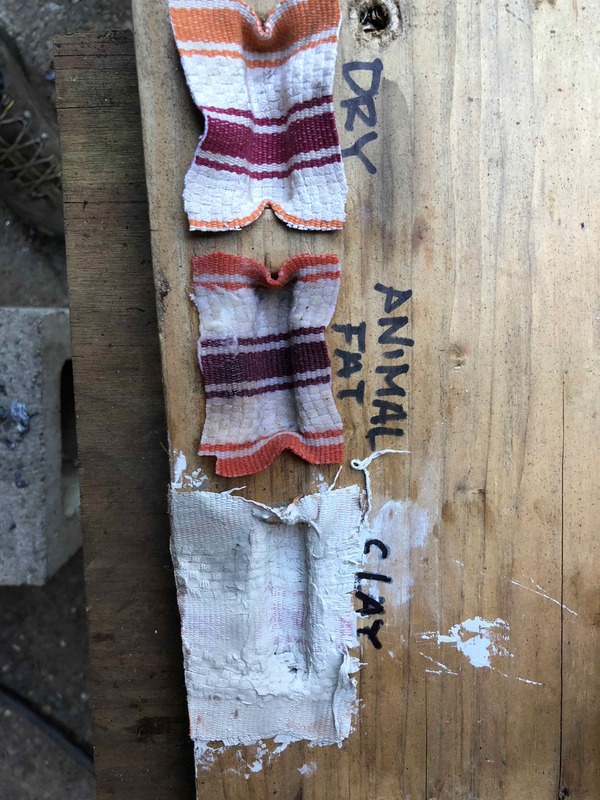 From these experiments it is easy to see that the cloth and clay performed the best and gave the best texture results. Analysis of the West Coast Cumbria hoard ingot shows that the textile pattern goes only part way around it. The ingot made in my clay and cloth mould looks quite similar. 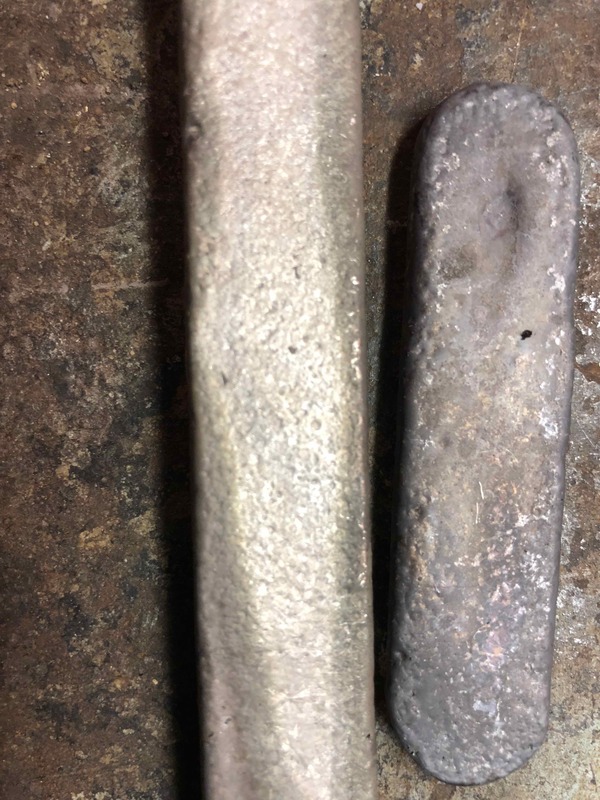 I believe the discontinuities in the ingot in Figure 1 may have been caused by charcoal getting from the fire into the crucible and ultimately into the ingot mould during the pour. I have experienced these discontinuities myself (See Figure 11). For comparison, I show the underside texture of two sterling silver ingots poured into a steel mould (See Figure 12). 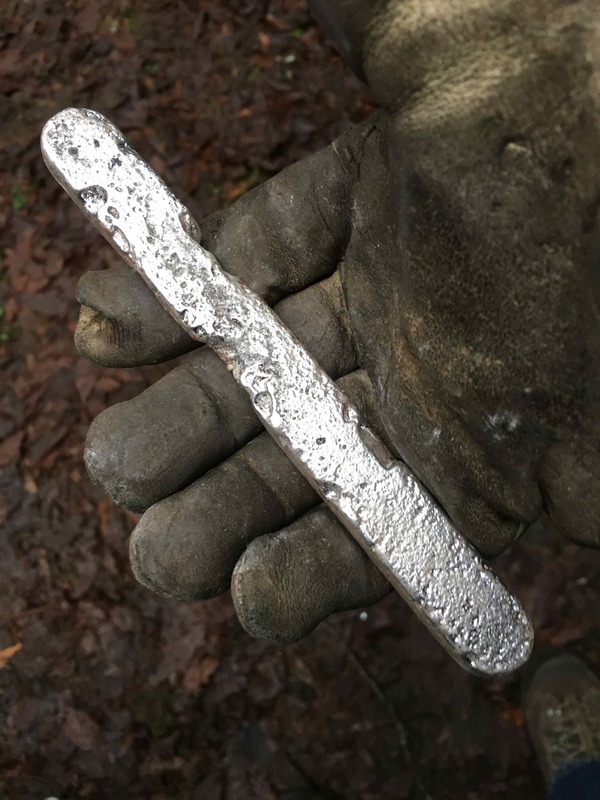 The ingot surface is pitted but it is otherwise smooth and not granular like the ingots poured unto the cloth and wood moulds. I wonder if the use of cloth was to expedite the process or was a desperate measure for some reason? I wondered about a scenario where a piece of cloth is smeared with mud or clay, a quick trench is carved into the dirt, the cloth placed over and the metal poured. 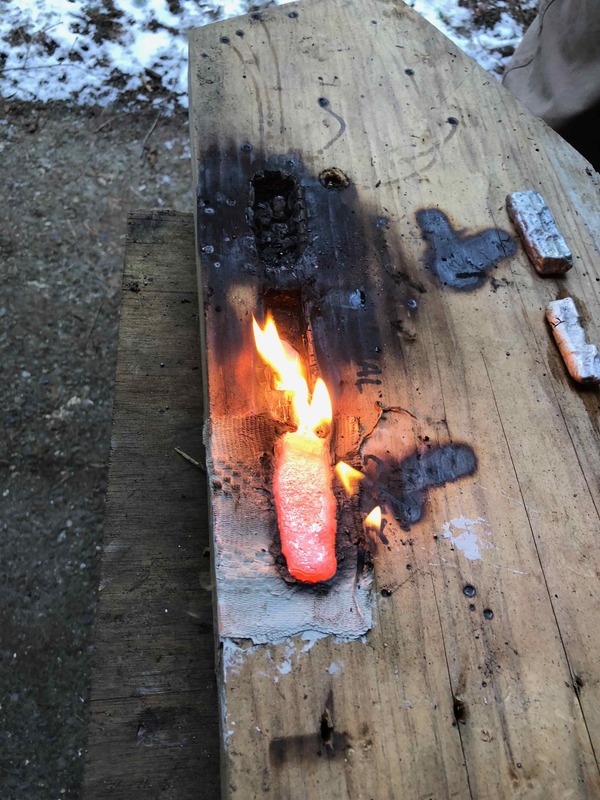 Moisture and hot liquid metal are a bad combination; the metal in contact with moisture usually has explosive results. Graham-Campbell, J. 2011. The Cuerdale Hoard and related Viking-Age silver and gold from Britain and Ireland in the British Museum. London, British Museum Press. Kruse, S.E., R.D. Smith & K. Starling. 1988. 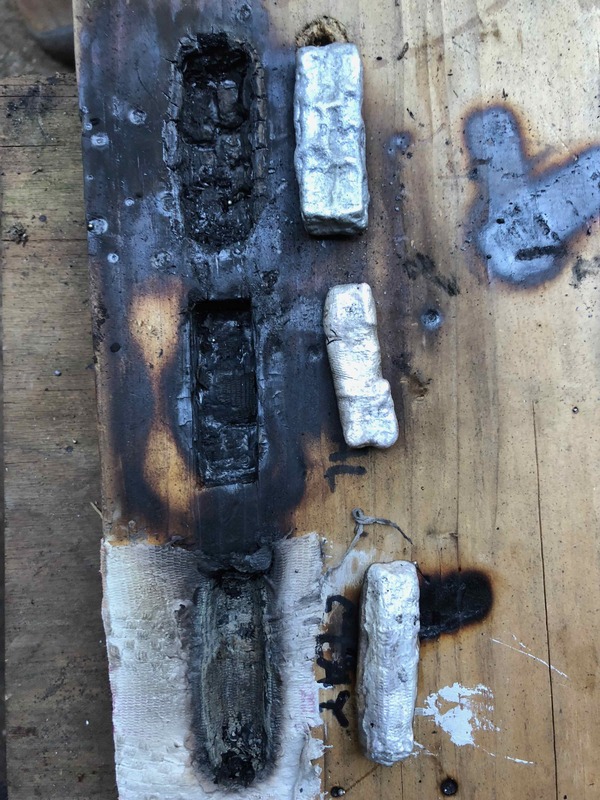 ‘Experimental Casting of Viking Age silver ingots’. Historical Metallurgy 22:2, 87-92. Fig 7. Molds and ingots after pouring. Fig 8. 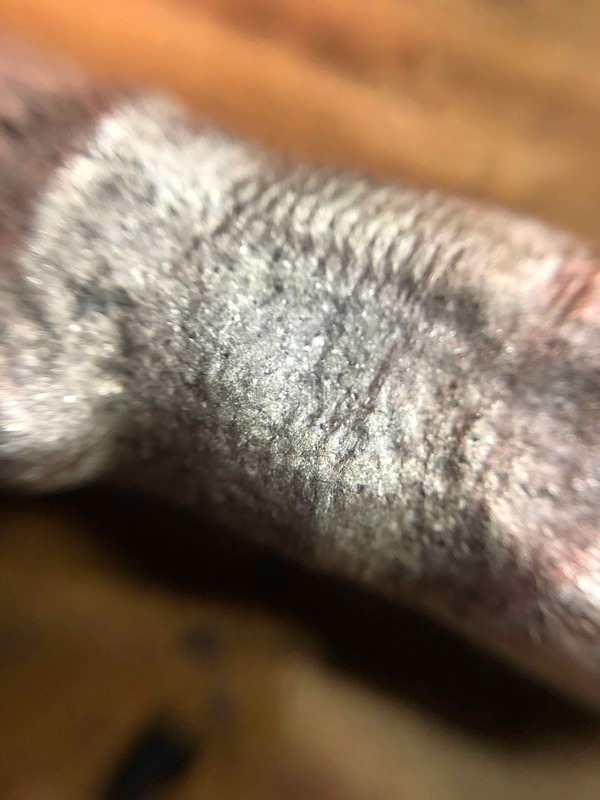 Texture of dry mold ingot. Fig 9. 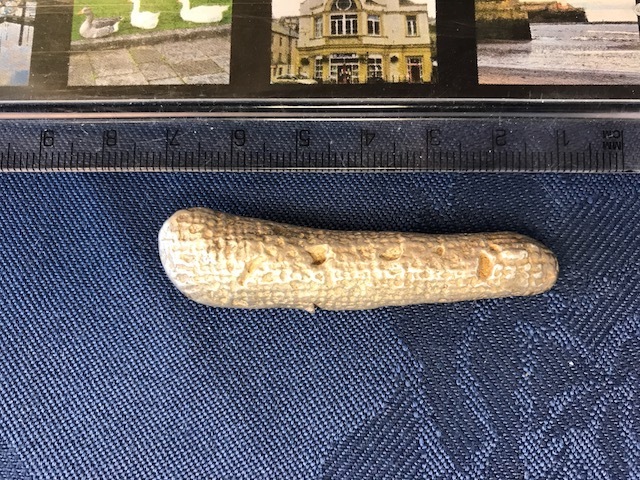 Texture of Animal fat ingot. Fig 10. 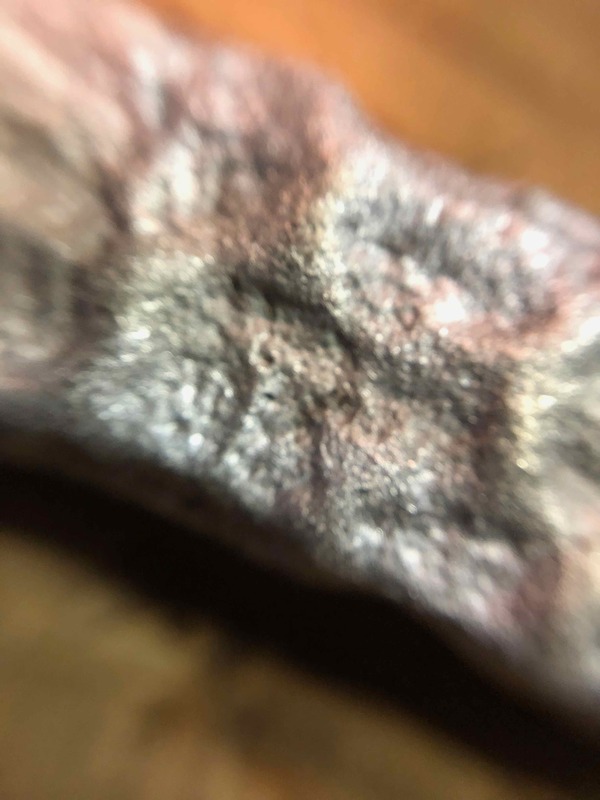 Texture of clay ingot.